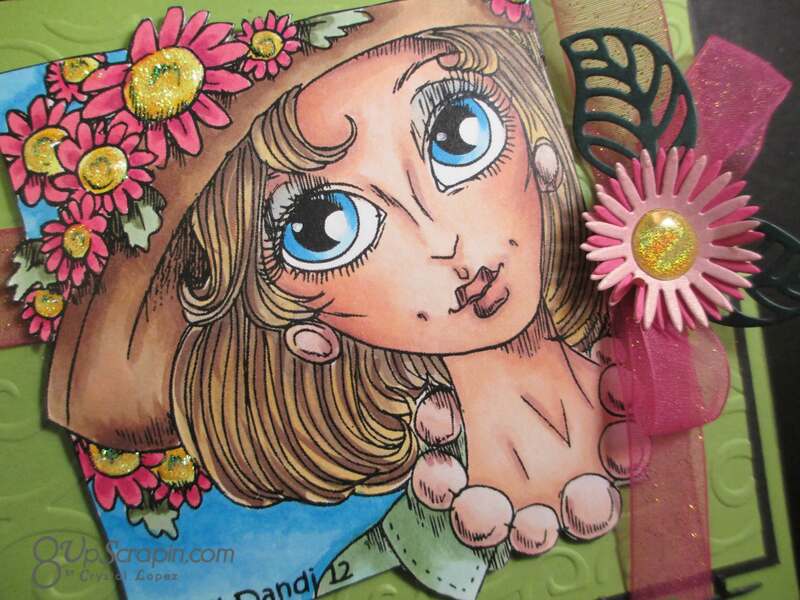 It’s Crystal here and today I am using a digital stamp called Betti , a Rick St.Dennis image from the I Brake For Stamps store. 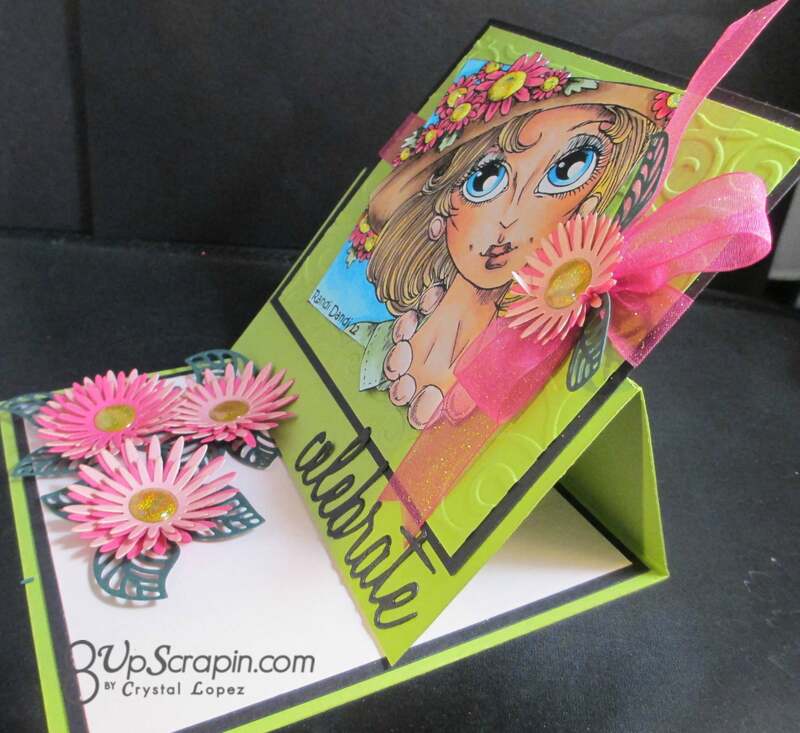 I copic colored her and made an easel card , I made pink daisies to hold my card open. 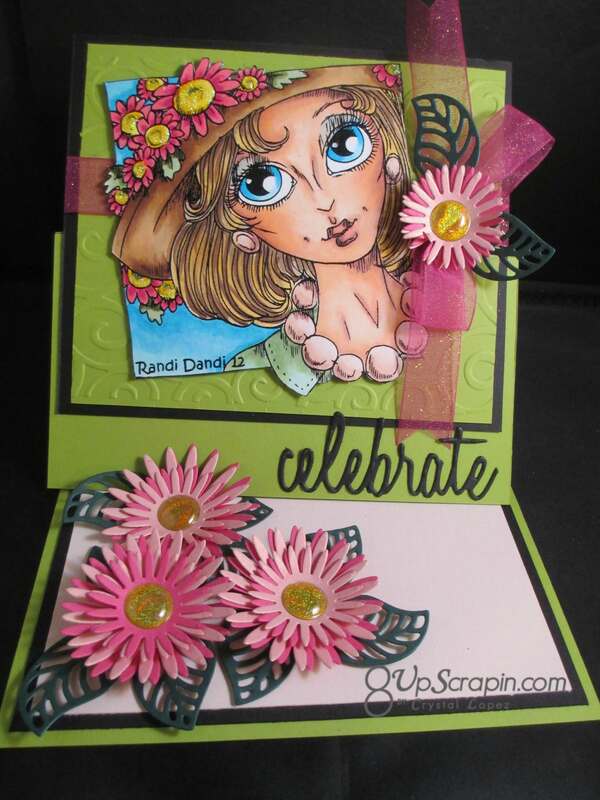 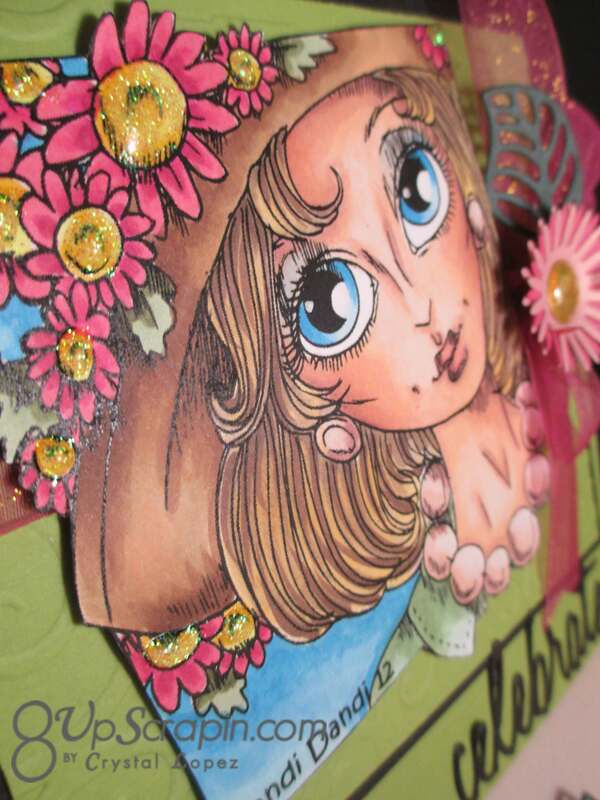 this image was so fun to color , when I saw this image I just knew the flowers on her hat just had to be pink daisies and from there is this card took on a life of its own , sometimes that’s all you need to get started on making a card , find and image that you get excited to color . 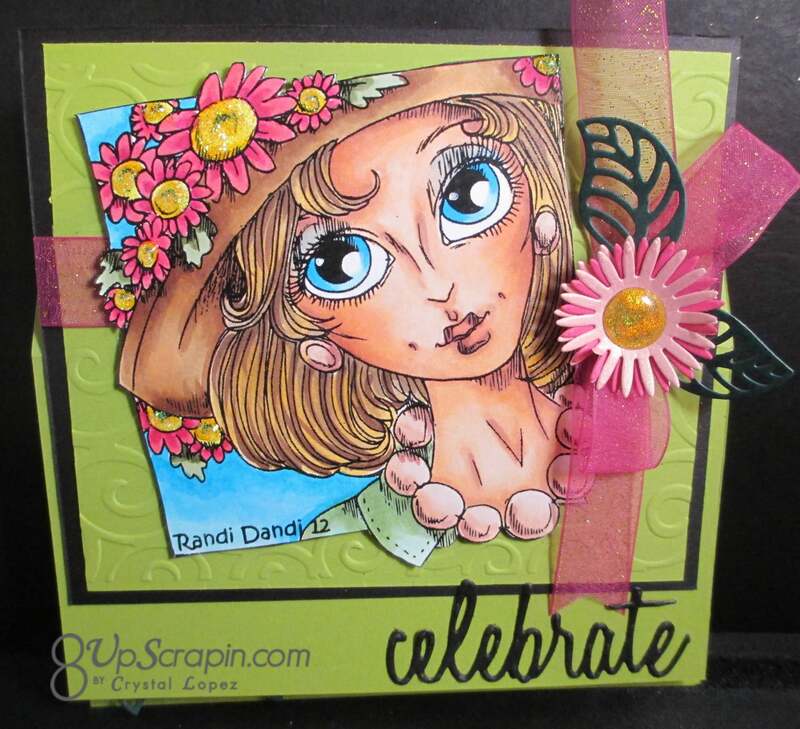 I hope this has inspired you to make an easel card with a fun image .